“I reached out to Mark Diaz, in November of 2015, after I barely completed my first “GORUCK- Light” event. At 52, I wasn’t ready to throw in the towel and slowly let myself get worse and worse each year. I was having issues training due to PAIN, in my left shoulder, plantar fasciitis of both feet and both knees, the left one was worse. It has been a long road and another Birthday has passed -53- and I am happy to report, left shoulder feels great and able to bench press with no pain, both feet feel great, able to Ruck with no pain, right knee feels great, and the last issue we are working on is my left knee. I will say, if you are patient and follow the protocols you will be very happy with the results. I was very very seriously considering Hormone Replacement Therapy, but I was concerned about the side effects 15 years from now. Mark Thank you. Christian Favata is the owner of TRT (Table Rock Tours) Bicycles in Rosendale, NY, where you can rent or buy a bike, find all the cycling clothing and accessories you need, and check out the newest technology in cycling. Christian is also a competitor in the cycling world himself. Christian was a highly competitive mountain biker for several years – he made the US National team in 2006 – before his business requirements made him hang up his mountain bike. However, in 2010, he found cyclocross, which has its competitive cycle during the fall months, when business is slower. For the past two seasons, Christian raced on Richard Sachs’ RGM watches Elite team and achieved great results. He consistently made the top 10 in the UCI (International Cycling Union) races. 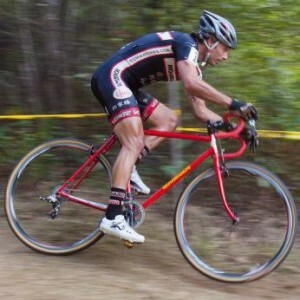 In 2014, Christian competed in several international races, including the 2012 HPCX – the sixth round of the Mid Atlantic Cross Cup – where he placed eighth overall. He podiumed in the Downeast Cyclocross (3rd), and won both races in the Uncle Sam Cyclocross. Christian started tweaking his nutritional plan this past October, after a conversation with Strength Coach Mark Diaz revealed that his supplement protocol was less efficient than it could be. After working with Mark for a little over a month, Christian noticed a change for the better. 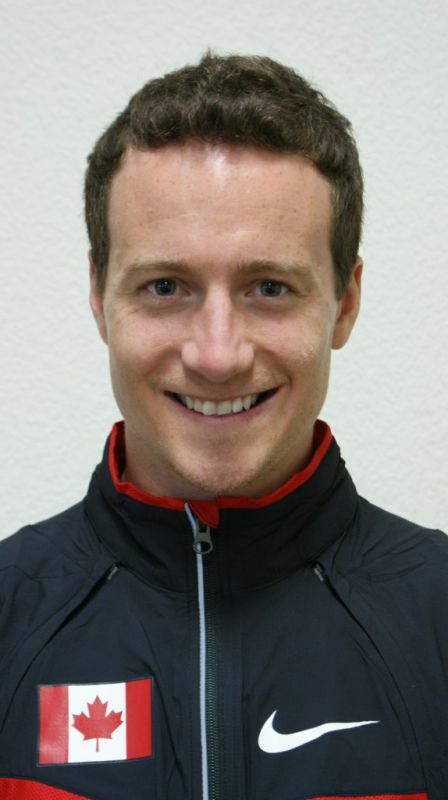 He says: “I feel fresh and recovered after races, and I’m able to train harder with less fatigue”. I’ve always managed to keep a pretty active lifestyle, whether it was through gymnastics, cheerleading, or just plain gym time. In 2005, I decided to become a certified personal trainer, and I began training full time. Since then, I have acquired certifications in CPR, kettle bell training, spinning, A.I.S, Poliquin 1, and MAT Jumpstart. Months later, I met Mark Diaz at a Poliquin seminar. I was intrigued by his knowledge and willingness to help me as I prepared for my next competition. We worked together for two months, and I was astounded by how I was able to drop fat and cut in specific areas so quickly to achieve my goals. It was motivating to say the least, as I watched my body fat significantly drop in a matter of weeks! It gave me the confidence needed to compete in three shows in June alone! My first in June was another NPC event where I took 6th place. One week after that , I competed in an INBF show where I placed 2nd, and my third, another INBF show, I competed in two categories, Figure and Fit Body, and placed 2nd in both. Other than being professional, highly knowledgeable, flexible with my schedule, and a pleasure to work with, my experience with Mark has helped to build my confidence in knowing that I can control the smallest details of my body, and when doing figure, every girl knows that every detail counts. Thanks, Mark. I was a 33-year-old New Yorker, looking for a challenge. I found it with the help of my strength coach, Mark Diaz. I have been working with Mark since the summer 2010. When it came time to find a trainer, I was not comfortable with anyone, especially after watching how trainers from chain gyms care for their clients. Mark is different. He has been honest with me from the day I met him. With Mark’s guidance and knowledge, I have become comfortable enough to train in the gym, in the free weight area, alone! Thanks to Mark, I was able to complete my first ING NYC Marathon in 2011. What’s more, I not only completed the marathon, but was recovered from it within the week. Mark is an excellent trainer, and I love his professionalism. He has taught me very valuable lessons inside and outside the gym. Though we do not see each other on a regular basis for training, we meet on a monthly basis for follow up on nutrition, to check my progress in the gym. He reviews my program and explains everything to me. His instructions are clear and concise. When I have more questions about the program or if I forget an exercise, he is always available to answer any of my questions or concerns. I no longer worry about other trainers telling me what to do, because I (now) know what I am doing. Today, I am more confident in and outside of the gym. I am outgoing, and ready to tackle this new life I am building for myself. Before I started working with Mark I was 172lbs and 25% body fat.Now, I am 156lbs and my body fat has dropped to 17.2%. Thank you Mark! Mark Diaz supervised my strength conditioning from July 2003. I am a competitive fighter in Seido karate – a demanding and hard striking style of karate. In the last three years, I competed and won my division in four world tournaments in Tokyo, Japan; New York, NY; and Sydney, Australia. In my most recent world tournament in Australia in December 2003, my training under Mr. Diaz was instrumental in my strength, power, and speed gains, which led me to a first place finish in the 1st kyu – Advanced Brown Belt Division kumite (fight). As I prepare for another world tournament in South Africa this September, and my black belt promotion in October, I put my training confidently in the hands of Mr. Diaz. Beyond his knowledge, he has a sensitivity to my needs and concerns as an athlete, and makes me feel that we are truly a team sharing the same goals. His expertise in the field of sports conditioning, and his excellent motivational coaching style are an invaluable asset to my training and to that of any competitive athlete. It is with this confidence that I highly recommend him to any athletes training to reach their greatest potential. Mark is definitely a leader in the personal training field… [and] a perfectionist in all he does. I found him to be extremely well organized and resourceful. This is why I have employed him as an assistant strength coach to train my athletes, both in the U.S. and abroad. I know that my mind can rest when my athletes are in Mark’s hands. I have every confidence in his ability and in his desire to become one of the best in the strength coaching field. When I started training for the New York marathon in 2005, I felt pain in my right knee for days whenever I ran more than five miles. In our first session last fall, Mark identified several imbalances in my lower body strength. I was thrilled to learn I could fix the problem, but frustrated by my inability to get to the gym and do so. As a new business owner, I always found a work obligation that took priority. Mark coached me not only physically, but also emotionally. He offered encouragement, while gently yet firmly reminding me to schedule a training session – even if I could only squeeze in 45 minutes between meetings. After several months, another trainer remarked on my hamstring strength. The comment caught my attention because that had been a problem area. I dusted off my running shoes and hit the park. Within a couple of weeks, I was running five and six miles at a clip – pain-free. Mark helped me strike a healthy balance between my crazy career and physical fitness. I’ve learned how to make the most of my workout time, and the improvements in my strength and overall fitness encourage me to keep going. In fact, I’m in better shape now as I approach my mid-30s than ever before. I am a formerly nationally-ranked skier. When I first came to see Mark for strength coaching and injury rehabilitation, I weighed approximately 220 lbs., was 20% body fat, and was recovering from a total Achilles reconstruction. After three months of working with him, I had lost 20 lbs., and was down to about 12% body fat. My calf was working well enough for me to fully participate in my ski season, and for the first time since my training accident, I began to believe that I could make a full recovery. In fact, I had my best ski season in recent memory. Mark’s coaching is much more than just a great workout. Through working with him, I gained new insights into training, nutrition, and therapy. From a nutritional standpoint, I had been short-circuiting myself for years, and never realized it. He knew how to help me fix my injury AND train me for my sport, so that I did not have to miss my season, and through his connections to top health professionals, I got the best treatment to make a fast recovery. He truly presents a comprehensive, high-level service. Balancing a two-sport athletic career requires a lot of careful planning and integration of goals. It demands a delicate balance of time management, focus and organization. In 2009, while attending a Poliquin training course in New York, I was introduced to Mark Diaz. 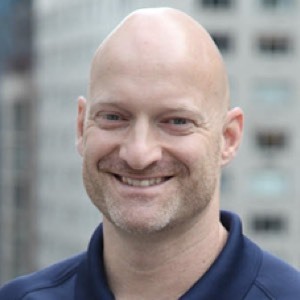 Mark was highly recommended by Poliquin professional Clark Flynn, who described Mark Diaz as a no-nonsense coach with the skills to develop superior strength programs. With confidence in his skills, Mark became my strength coach, despite the distance and border between us. Mark went to work quickly assessing my condition using his own unique approach to performance analysis. I gave him my requirements, and from the data, he developed a customized strength program and supplement protocol to allow me to train for both events simultaneously, as well as time my conditioning peaks to match performance goals. When we started, Coach Diaz was new to track and field training, but he adapted my program and helped me build the strength to launch my running power. His coaching experience helped me win 4 National titles and also helped prepare me to compete at two World Championships and Pam Am Games. In 2011, Coach Diaz became my official head coach and is now designing my running workouts, strength and conditioning programs, and nutritional protocols. I am confident his expertise will be a factor in my 2012 Olympic accomplishments. Coach Diaz is direct, and takes a strict approach that gets the job done. His instruction has been consistent and steady, raising the bar for me to achieve new milestones. The 2009 season was a challenge for me to communicate with Coach Diaz, because I did not have face time with him. We have since improved that, and introduced tools to allow more communication and pre-set face to face meetings to evaluate and adjust our strategy, taking advantage of technology to share results real-time. The key to remote coaching is weekly and at times, daily communication. Working with Mark Diaz has and will continue to be a direct contributor to my athletic performance and success. Update, 2012: This year at the Paralympics Sean Young and John Dunkerley placed eighth in the 400-metre T-11 (visually impaired) dash with a time of 0:55:27. They also ran on Canada’s 4x100m relay team and the team placed sixth in the T 11-13 race. I am a 60-year old woman who has been working out regularly for half my adult life. My strength work has paralleled the growth of the fitness industry. When I began working out, it was in a rigorous calisthenics class that met three times a week. After doing that for several years, I “graduated” to personal training with trainers who were working in other fields (e.g., acting) and who used their knowledge of fitness to train their clients. This worked fine for me for a while. It was all I could do to understand proper positioning and to achieve mental focus. As my knowledge and understanding grew, I needed a trainer who was more knowledgeable, professional, and committed to strength training as a career. I needed a trainer who did not lower his expectations of me because of his considerations regarding age, gender or performance. In short, I wanted to be treated as if I could always improve – as if I could always do better. I found Mark Diaz to exemplify these beliefs. I have been working with Mark for more than three years on a regular basis – three times a week. Throughout our years together, Mark has been committed to ongoing professional training and advancement for himself. Without question, I have benefited greatly from that commitment. He is a demanding taskmaster – one who has high expectations for me, who pays attention to my performance, observes both my strengths and my weaknesses, and takes all of his resulting understanding into account when he designs my programs. His coaching makes me healthier, stronger and younger. I could ask for nothing more in a personal trainer. Mark Diaz is the real deal. There are few people whose advice related to physical fitness I respect more than Mark’s. His workout programs produce fast, serious results. You won’t be disappointed! In January 2009 I decided I would get fit, healthy, and lose weight, which I have struggled with all of my adult life. For a month I did aerobic exercise to no avail – did not lose a pound or an inch. I was then introduced to personal trainer Mark Diaz (of Physiqology) through my brother. I saw that Mark’s approach to training was not randomly spending time in a gym running on a treadmill, but a specialized weight training programme – something very new to me! I embarked on the programme in February of ’09. Mark writes my programmes for me in NYC and we correspond through e-mail. I have a trainer in Bermuda who works through the programme with me. Once one programme is finished, it gets faxed to Mark and the new one appears in my e-mail inbox. In 8 months I have lost 50 pounds and 5 dress sizes – does Mark’s programme work? You bet it does! I couldn’t be happier with the programme and advice I receive from him. Mark has helped me to realize a life-long dream of being fit and healthy. I was amazed at how quickly my energy levels and strength improved after starting this program. Within a few short weeks I had lost a whole dress size. Before now, I had been suffering from digestive problems and fatigue but once I followed Physiqology’s recommended supplement protocol I haven’t had a single issue. The level of professionalism and personal client attention is the highest I have ever received. Thank you, Thank you, Thank you Mark! I was so excited; I could not resist calling you. My husband’s doctor was amazed and I am SUPER relieved! [with the improvement of his cholesterol] I need to purchase more smart fats from you… By the way, your workout yesterday made a huge difference in my sleep cycle. I overslept to 8:30! (I have not done that in years) I feel great. When I first met [personal trainer] Mark Diaz, I was badly injured due to nerve damage extending from my neck down to my arms; I was in constant pain and had reduced my daily activities to a bare minimum. I was afraid to use my arms, fingers and neck, because even slight exertions would cause inflammation and extreme pain. My physical therapist highly recommended Mark. Based on the trust I had for my physical therapist, I decided to give Mark a try. Prior to working with him, the extent of my gym experience had been a couple of trips to the local YWCA. Mark was extremely sympathetic and understanding. Yet like any good trainer he was firm and disciplined. However, unlike any trainer I had met before, he seemed to have an uncanny, almost magical knowledge of what I could or could not physically do. There are times when I would arrive at the gym in so much pain that I was convinced I could not work out and he would push me to continue successfully. Initially, mainly because I trusted my physical therapist’s confidence in Mark, I would doubtfully, do as he asked. To my amazement, I always felt better after these sessions. I would be in less pain and more energized. There were other times, when I come to the gym ready and eager to work out, and he would notice something about the way I was moving, and state that I shouldn’t work out that day. Mark even diagnosed a problem I was having with my shoulder that both my doctor and my physical therapist had overlooked. I had been having increasing difficulty with my shoulder; my physical therapist and doctor assumed my shoulder problem was related to the nerve damage I was already experiencing. However, Mark noticed how my shoulder was moving during certain exercises and quickly modified the exercises because he thought I had a frozen shoulder. The doctor confirmed Mark’s suspicions and I promptly got treated and cured of the frozen shoulder. I trained with Mark Diaz for several years, and have recommended family members to him. He is always extremely professional, courteous, empathetic and very knowledgeable about his profession. He takes great pride in his work and his clients benefit from his passion. I received some very exciting news that my company had been chosen to participate in an upcoming panel hosted by WCBS News Radio and The Wall Street Journal on 4/6th. In the middle of scrambling to get a website together inside of 2 weeks, I wound up injuring my back and was laid up for three days. Mark Diaz was trying to get in touch with me and realized that something must have been wrong since I wasn’t returning his calls. When I was able to walk around, still in a lot of pain, Mark offered to come to my home to help me with some stretching exercises. He did this in the wee hours of the morning on a weekend before he had a class to attend. He checked in with me throughout the day and returned the following day on Sunday to “pump my spine.” The results were amazing and I was able to move and walk around again just about pain-free. Mark was a real lifesaver for me and anyone considering working with him shouldn’t give it a second thought. Thanks to Mark I’m up and running again and able to meet my deadlines for this event.